Travis Coates’ life is no different than the life of any other 16 year old boy; except that he is dying and has to decide if he’ll agree to a surgery in which his head is cut off and cryogenicly frozen until some unknown date when it might be reattached to a stranger’s body and he will be brought back to life. 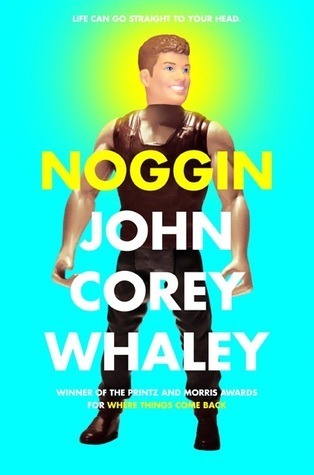 Author John Corey Whaley does a remarkable job balancing the regular angst and confusion of a sixteen year old while having the reader tackle the larger problems that are right in front of Travis that he can’t quite see. When Travis’ head is attached to a body and he is given new life he struggles not only from being an instant celebrity, but also because his family and friends are now five years older than they were when he “died.” There are new relationships and broken ones. There are lies and lifestyle changes that they’ve accepted and he can’t understand. Instead of focusing on the entertainment or technological changes that other authors may have used, Whaley focuses on Travis’ changes as an individual. The story never loses focus and encompasses ethical, moral and emotional ideas without being smug or condescending. Whaley has a gift for portraying the pain in familial love — it can hurt to love the wholeness of another person but there is always a beauty to it. Whaley’s writing echoes the style of Sam Shepard and the wit of Kurt Vonnegut with a contemporary nuanced confusion. Noggin is a substantially successful story which should not be relegated to a strictly YA audience. It will be enjoyed by anyone who appreciates thoughtful ideas, tender love and a whole bunch of humor in a book which begs to be shared.